Why You Haven't Had Your Vitamin C Miracle Yet! There's no debating Vitamin C may be the single most VALUABLE nutrient on the planet. And supercharges your immunity, promotes eye health, and ends sleep problems! Have you ever heard of scurvy? It's a Vitamin C deficiency. For centuries, it was common among sailors. They'd get tired. Sores would appear on their skin. Their bones would hurt and their teeth would rot. If left unchecked they would die. But if you have a loved one with thin hair, spots on their skin, open sores, or cuts easily, give them Vitamin C and watch how quickly they heal. Most Vitamin C Sold in Stores isn't “Real” Vitamin C! Did you grab your bottle of Vitamin C? Do you know what ascorbic acid is? Well, it is NOT vitamin C. In fact, it is just ONE of the many nutrients that make up the complete Vitamin C molecule. Think of the complete Vitamin C (well, ANY vitamin really) molecule as an egg. If all of those other nutrients make up the yolk and the egg whites, ascorbic acid would just be the shell surrounding it. 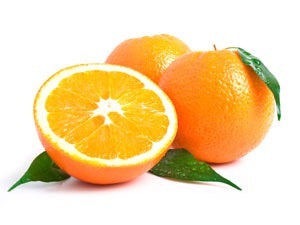 The complete Vitamin C molecule contains P, K, and J factors, the tyrosinase enzyme, at least 14 known bioflavonoids, various ascorbagens, five copper ions, iron, manganese, zinc, selenium, phosphorus, magnesium and yes, ascorbic acid. You're Being Sold a Fake! You'd be OUTRAGED if this happened with any other purchase. It's like ripping open a bag of chunky chocolate chip cookies and finding they forgot to add the chocolate! Wouldn't that be a bummer? Yet, for various reasons food, drink, and supplement manufacturers are allowed to slip ascorbic acid into their products and call it Vitamin C.
Buy this and you're not getting the Vitamin C (or the healthy results) you are paying for. There is a sneaky reason why ascorbic acid is so dangerous. You see, your body uses a “lock and key” system to use nutrients. The “lock” is called a receptor. Nutrients act as a “key” that fits inside this “lock”. Once the “key” goes into the “lock” (the nutrient goes into the receptor) the nutrients are released and go to work healing your body. But there are only so many receptors. If the Vitamin C receptors are clogged up with ascorbic acid, the Vitamin C in your diet can't be absorbed by your body. It passes through unused. Remember the egg example above? Well, if your receptors are filled up with with ascorbic acid (the shell) and not the whole Vitamin C (the shell, yolk, and egg whites) you don't get the nutrients your body needs to heal. This leads to a deficiency, which explains why you haven't felt all of the health benefits of Vitamin C.
The conspiracy doesn't end with Vitamin C.
Think Vitamin E is good for you? In one study, Vitamin E-deficient laboratory animals fed mixed tocopherols (which are just ONE part of the total Vitamin E molecule) died sooner than control animals who received no vitamin at all. What about Vitamin A? Not if it says as beta carotene (again, just one part of the total Vitamin A molecule). Beta carotene has been shown to increase risk of birth defects. B vitamins, vitamin D, vitamin K...the list goes on. And on the next page you'll learn about the biggest imposter of all! You've been told it keeps your heart ticking and your blood vessels strong...keeps your skin supple...and skeleton sturdy. But new research shows it does the exact opposite! Causing heart attacks, cancer, and more broken bones!